Amazon has "Alexa", Apple has "Hey Siri" and Google has "Ok Google". Now, you too can have a trigger word to activate your system, and it can be anything you want! We are proud to introduce Snowboy, our hotword detection engine. With Snowboy, anyone can have a small footprint, always-on detector that is triggered any time a keyword is spotted. And the best part is that Snowboy is fully customizable: you choose your keyword (or keyphrase!). Want a clapper without the clapping? Snowboy! Turn on the music? Snowboy! Open the garage door? Snowboy! 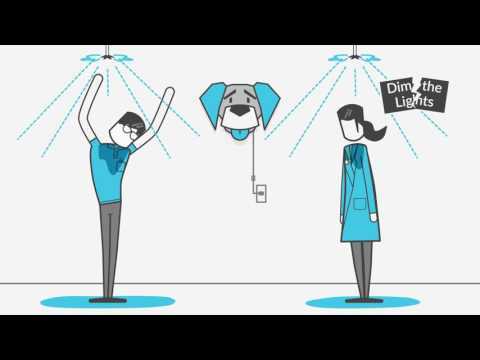 A hardware device shaped like a dog that dims the lights and plays music? Well, the possibilities are endless. Just go http://snowboy.kitt.ai, login, and follow the simple instructions to create a new hotword. You can choose something like "lights" (or anything else, like "flip the switch" or whatever). Then download our engine, which you can run on iOS, Android, Linux, OS X or Windows, and is lightweight enough to run on mobile hardware or a raspberry pi. Best of all, it's free for personal use. Read more on GeekWire, and make sure to visit us at http://snowboy.kitt.ai.